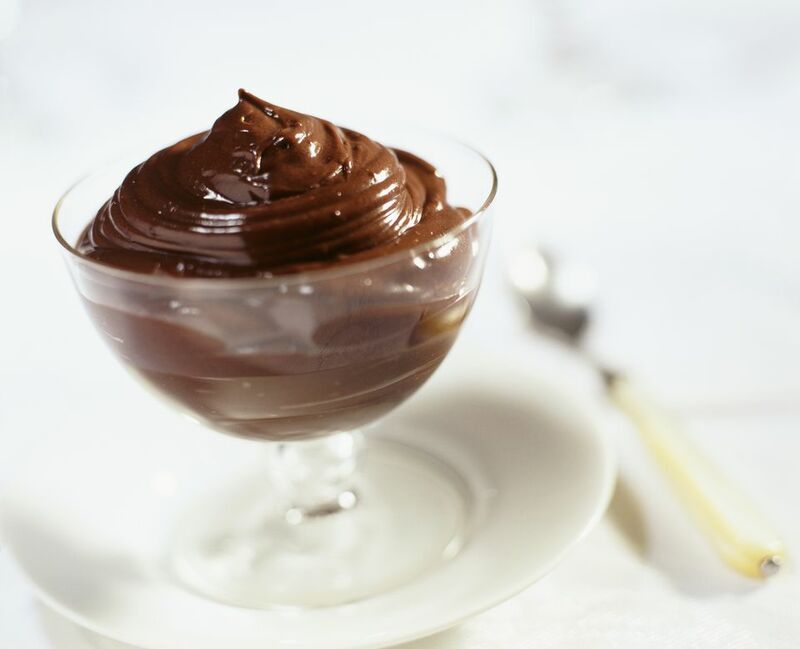 This rich, decadent chocolate pudding is prepared with coconut milk and almond milk instead of dairy, and because it is thickened with cornstarch instead of egg yolks, it's totally vegan, too! Perfect for after school sweets and lunch-time treats for vegan and dairy-free kids, this pudding is also one you'll want to make for you and your adult friends. Garnish your puddings with dark chocolate shavings and shredded coconut, or layer your puddings with sliced strawberries or other fruits for elegant parfaits! For those of you looking for a gluten-free and soy-free pudding, just be sure to check the ingredients of your dairy-free chocolate chips to make sure that there are no gluten, wheat, or soy-based ingredients included. In a small cup or bowl, combine the cornstarch with 2 tablespoons cold water, mixing to dissolve. Set aside. In a small saucepan, combine the sugar, cocoa powder, salt, and lite coconut milk. Over medium-low heat, gradually add the almond milk, stirring constantly until smooth. Cook until a thin film develops on top of the liquid and steam rises from the surface, but do not let the mixture boil. Remove the pan from heat and add the chocolate chips, swirling the pan to keep the chips from resting on the bottom of the pan and burning. Allow the pan to sit off of the stove for about 3 minutes, then stir the mixture with a wooden spoon to incorporate the melted chocolate. Mix in the cornstarch mixture and vanilla until well incorporated, and return the pan to the stove over medium heat. Stirring constantly, cook until the mixture is thick but just slightly thinner than desired (the pudding will thicken as it cools). Transfer the pudding to a heatproof dish. Place plastic wrap directly on the surface of the pudding (this is to prevent a skin from forming), and set on a wire cooling rack to cool for about 20 minutes. Once puddings have cooled slightly, place them in the refrigerator and chill for at least 2 hours before serving. Garnish with shaved dark chocolate and shredded coconut if desired.